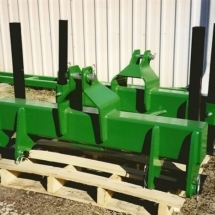 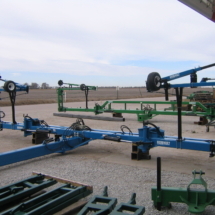 Front Fold/Pull Type Tool Bars - Made in the USA - Moore Built, Inc.
12 row 30 Front fold, pull type planter. 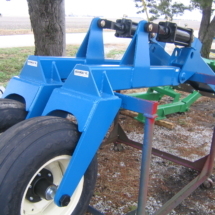 Height adjustable CAT V hitch pin with fully articulating, greasable ball swivel. 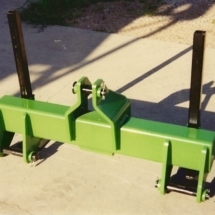 Full Length Double 7x7 3/8" wall tubing Tool Bar. 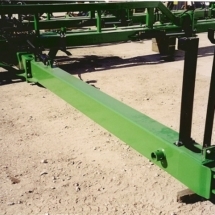 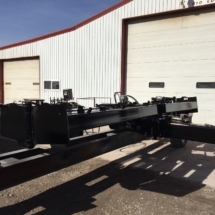 Full length double 7 x 7 x 3/8 wall bars prevent any rearward bowing of the toolbar which changes row spacing. 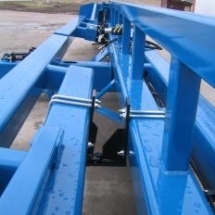 It is also more durable to handle mounted liquid tanks. 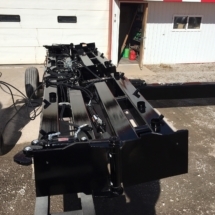 Also, with no flex points, you can follow this planter with any combination of 4, 6, 8, 12 or 24 row equipment. 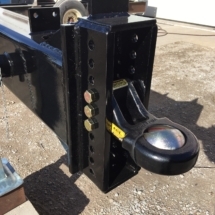 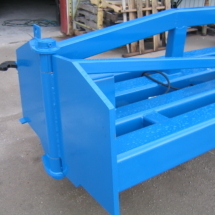 Heavy duty 2 1/2" x 24" hinge pins with with 1" gusseted plates help fold to a narrow 22&#039; 1" transport width. 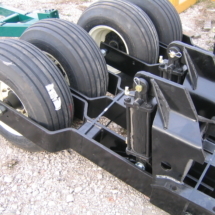 Four heavy duty lift wheel assemblies with 11L-15" 12 ply tires and rims with heavy duty cylinders to handle extra weight from liquid attachments, ect., without leaving deep indentations. 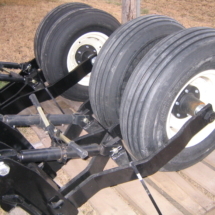 Two rear mounted gauge wheel assemblies with 9.5"/15 8 ply tires. 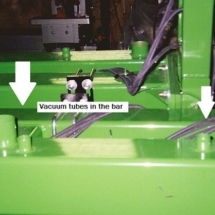 Vacuum is located in back of the 7x7 bar for a less congested planter. 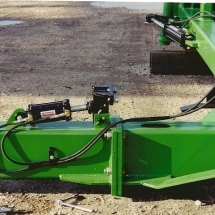 Hydraulic field and transport locks so you can fold and unfold without leaving the comfort of the cab. 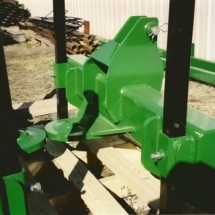 8" x 10" pole with 3 pt. 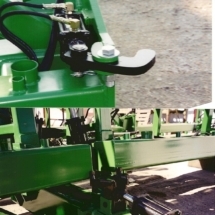 hitch hook-up for more flexibility versus a drawback bar.